Plagiarism, a serious concern, can destroy web position or online identity of any business. If you are a business owner and you have got the website which has got content that is not unique, you will end up with gaining no good results. Plagiarized content can lead to bigger problems. Therefore, it is quintessential that you hire one of the most experienced web content writers in Dubai who can provide plagiarism-free content for all your online business needs. 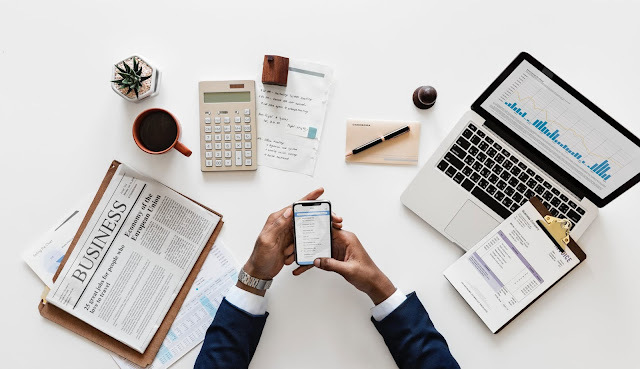 When you have had this idea of going online in your business, you must have also thought of promoting business through search engine optimization or social media or other direct advertising means such as Google PPC or others. I should say a website with copied or plagiarized content will never manage to get optimized in the right manner. It will never get to the first page of Google and other search engines. The giant search engine, Google has strong aversion towards copied content. If you are not able to get satisfied SEO results then it is time that you pay attention to your web copy, your web content. Making sure that it is 100% unique is very important. Otherwise, it may not attain first-page ranking. Moreover, copied content might invite legal actions. Yes, there are many entrepreneurs who get their content protected with DMCA. Or have copyrights reserved for all content which they use on the websites, for the marketing purpose etc. So, these are the business owner who have invested money in creating such content then certainly they will not allow anyone to make use of it in its real or any distorted form. In a nutshell, websites which have got copied content do not get optimized, may get penalized by google and may also invite legal charges from trus owners of the content. To check plagiarism, you can make use of the following tools. They are available online. Most of them are free. So, you do not have to spend extra money on checking or validating the originality of the content. There are various free and premium plagiarism-checkers which can be used such as Dupli Checker, Copyleaks, Plagiarisma, Plagiarism Checker, Plagium, PlagScan, PlagTracker, Quetext, Viper and many others. But, I would recommend that you make use of the Copyscape.com. Yes, this is going to provide the best plagiarism-check service you would ever yearn for. It can easily detect even the slightest chance of copied or copy-paste content and provide better plagiarism-percentage reports. 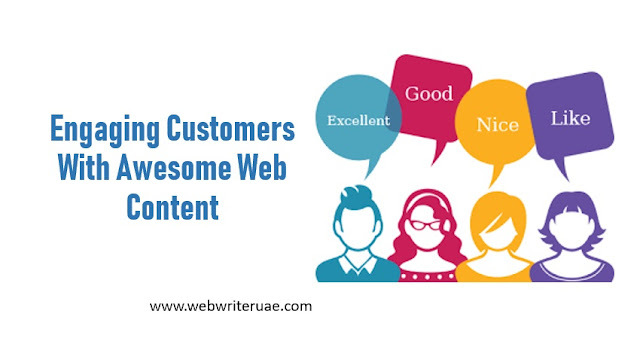 When you hire Web Writer UAE, you will not have to worry over checking or re-checking the content because, you are going to get 100% unique content. Absolutely, no plagiarism. Not even incidental plagiarism. I, as your trusted and experienced content writer in UAE promise you of best content. Are you looking for web content writers in Dubai? Want to get affordable web content writing services in Dubai, UAE? Well, you are right on being here. I am here to help you. I am your content developer, content writer, copywriter, UX writer in Dubai, UAE, who can create for you awesome content. You can count on me for web content - content for websites, corporate blogs, seo articles, e-brochures, flyers, e-books, whitepapers, social media marketing, corporate video presentations, social profile content or for anything which can help you gain incredible increase in your sales online or offline. Content Writers Dubai? Why hire me? The big question why hire me as your content writer in Dubai is easy to be answered. I know you are on the lookout for the best, the most experienced copywriter, content developer, content writer in Dubai who can develop the best-in-class, plagiarism-free content for your business promotion online or offline. Creating engaging content is not piece of cake. It is a big task. In a study at Beckon, it is revealed that content marketing was almost 300 percent in the year 2016 but with respect to engagement it was only 5 percent. Even worse, there is small percentage of web visitors or web readers who take little time to read and engage with the content. On an average, web visitors spend not more than 5-10 seconds or 37 seconds on your page. And within this time, if your web copy can grab their attention, they stay or otherwise, they leave. How one can create or develop amazing piece of digital content which is simple and easy-to-understand for readers - regardless of how complex or convoluted the subject matter is? The plan for creating amazing content is simple. You will have to present things in convincingly simplest form but with focus on not making the readers boring. Because, if they get bored they will leave and will go search for something else. It sounds simple, isn’t it? 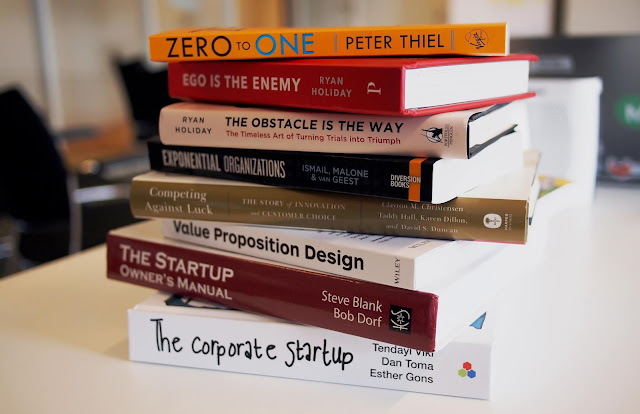 Wondering how you can promote your startup! Want to market your business online without investing any money on it? Let me help you with making it a reality for you. I have done this for myself and for many of the business owners who do not want to spend more money on it. But, let me tell you a few important things first. When i say FREE, it doesn’t mean completely FREE. But, it really means huge savings. How this amount is invested? Content Marketing and lead generation are interrelated and interchangeable. These two are very important strategies to achieve success in business. But, there are many business owners who think of these two as inherently different things. Content marketing is all about marketing business service or products in a more powerful way through which it becomes much easier to generate more traffic. And yes, when there is more traffic flowing to your site, you get plenty of opportunities to increase sales. There is tangential connection between content marketing and lead generation. You will bring visitors to your site through your marketing strategies and this in turn leads to increased sales. Entrepreneurs who would want to see much better results on both fronts need to focus on interweaving these two strategies together. Helping you effectively tie value to your online business marketing content. Wondering how you can save 40% and more on web content development or content writing services in Dubai, Abu Dhai, Sharjah, Ajman, Fujairah, Ras Al Khaimah, Umm Al Quwain – UAQ in United Arab Emirates! To get content which is replete in quality and which is affordable too is often difficult for the businesses in The Seven Emirates. Yes, search for the best Website Writer, Article Writer, Blogger, SEO Content Expert can be very challenging. Of course, there are hundreds (or probably, thousands) of Content Writing Services Agencies In Dubai and other 6 emirates in UAE but still the one that can help you get the best, quality content is needed to be relied on. I am your web writer in UAE who can help you get on with your business online by providing best-in-class, impressive, sales-oriented web copy for your website, content for your SEO articles, corporate blogs or for various other business marketing requirements. I am here to help you understand Google SEO. Yes, let us talk about the important Google ranking factors. 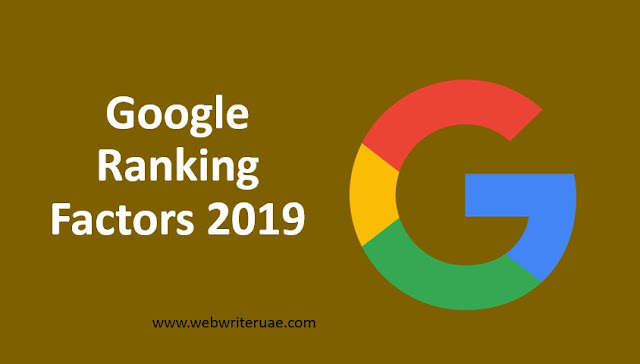 I should tell you there are almost 200 ranking factors which make or break position of sites in google. What the heck are these factors? I have clubbed together all the factors here for you. So, it is a Complete 200 Google Ranking Factors List for you. I should also tell you that some of them are proven and some are highly controversial. And few of them are speculations by SEO nerds. We will focus on factors across Domain, Web Page Level, Site-Level, Backlink, User Interaction, Special Google Algorithm Regulations, Brand Signals, On-Site and Off-Site Web Spam factors.